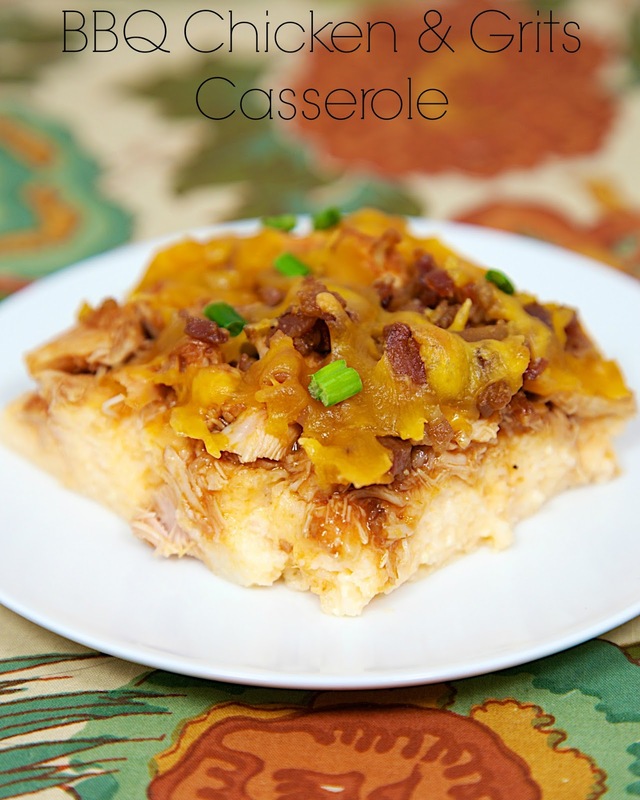 BBQ Chicken & Grits Casserole Recipe - cheesy grits topped with bbq chicken, bacon and cheddar. SO delicious!! Can make ahead of time and refrigerate until ready to bake. Chicken Legs took one bite of this and said "People should make this!". I agree. 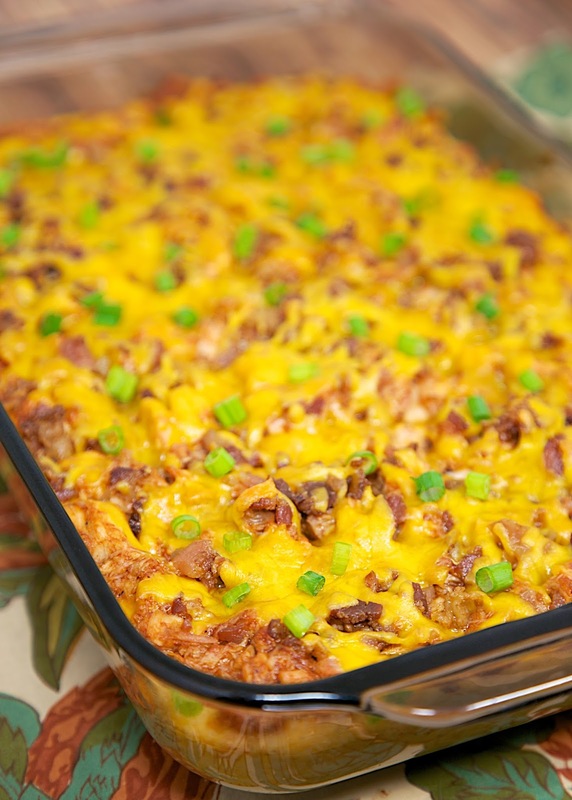 This BBQ Chicken and Grits Casserole was SO yummy! Chicken, BBQ sauce, bacon and cheese on top of cheesy grits! How could it not be good?!?! The grits are great on their own, but when topped with BBQ chicken, bacon and cheese, they are over the top delicious! I used a rotisserie chicken in this casserole. If you don't have any rotisserie chicken on hand, you can substitute a couple of cooked and chopped chicken breasts. For the grits, make sure you are using Quick Cook Grits, not instant. The package should say Quick Cook and ready in 5 minutes. I use Quaker brand grits. Heat oven to 350°F. Spray 13x9-inch baking dish with cooking spray. Set aside. In large saucepan, heat water and salt to boiling. Slowly stir in grits; reduce heat to medium. Cover; cook 5 minutes, stirring occasionally. Remove from heat. Add cream cheese, 1 1/2 cups cheddar cheese and butter, stirring until melted and smooth. Pour into prepared baking dish. In medium bowl, mix chicken and barbecue sauce. Spoon chicken mixture over grits. Top with bacon pieces and 1 cup cheddar cheese. Bake for 20 - 25 minutes or until bubbly. Sprinkle with chopped green onions. Let stand 5 minutes before serving. If you want some super creamy rich grits, sub half the water with milk.